Heracles will initialy debuff [INT] and [Meat] Orb occurance to 0 for 3 turns. Bring an orb changer! [PSY] to [INT] for example. Use a MAX Sunny Ship to defeat mobs around Heracless with 1 strike. 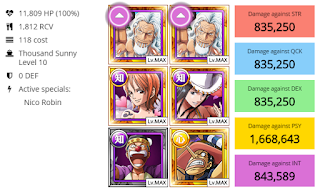 Use GP Usopp to delay Heracles. Get as many INTs as possible. Heracles is a good sub for SW Ace crews. Wait for his buff then use the turn delay. Penguin won't deal as much damage. So stall on him. 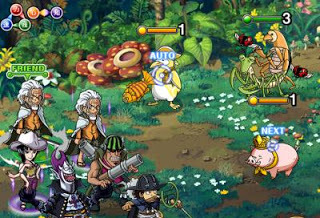 The Stage of Stalling All units on this Stage has 10 HP The Lobster will hit for a hard 4,500 damage. While the Turtles will hit for 3,000 damage. You should be able to get some good stalling here depending on your units/health. 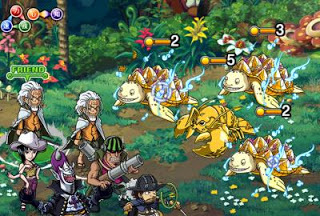 The Stage of Locking The Elder Seahorse will lock a unit for 7 turns. The Regular Seahorse will lock a unit for 1 turn The Crab won't lock. All your character's orbs will turn to [Meat] upon entering this stage. There are a variety of ways to get through this stage. The idea is to kill the Elder Seahorse first and foremost... as 7 turns is a huge lock. 0 Reduce the occurrence of [INT] and [Meat] Orbs and then randomize your orbs. Reduce the occurrence of [INT] and [Meat] Orbs and then randomize your orbs. Heal a small amount of health (50.000) ? I made a mistake putting INT orbs into the image. Remember the heracles orb debuff. You can change Doflamingo for Mr. 3 or Vista or any good INT Slasher. Use Mihawk Special entering Heracles, to get rid of 30% of work. Wait until Heracles buffs and use GP Usopp to delay. Burst down with rest of specials using INT orbs. 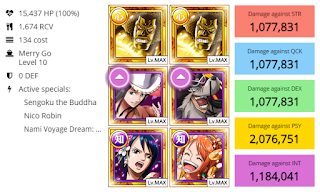 2x ATK Nico Robin * 1.5x Orb boost from Nami and make sure that the Wolf gets an INT orb. He has a MAX: Attack value of 1250 with the cost of 20. Stall until all specials are ready. Meat healing should be no problem. Use Sunny at Bossstage to get rid of mobs. Use All other specials to blast Heracles. Probably the first team that any of you would've thought of. And of course... it works! Rayleigh Burst with Nico Robin will do crazy damage that could scare Garp into his hidey-hole. This is a fairly powerful team that will probably take the crown for best team for this Raid Boss. Well here's a team that also shouldn't surprise you. 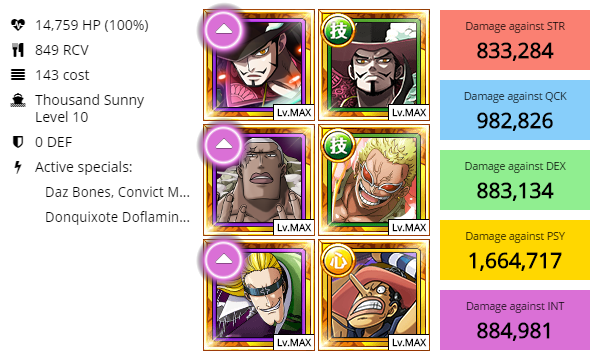 With a special that could cut down any enemy (or enemies in this case) in half, Mihawk teams are still standing as strong as ever. There isn't much explanation required for this team. Just go forth and cut your enemies down!! Here's one that may surprise you! Vivi is back! !~ While each unit has their place for important reason, there are certain substitutes you can make for them. 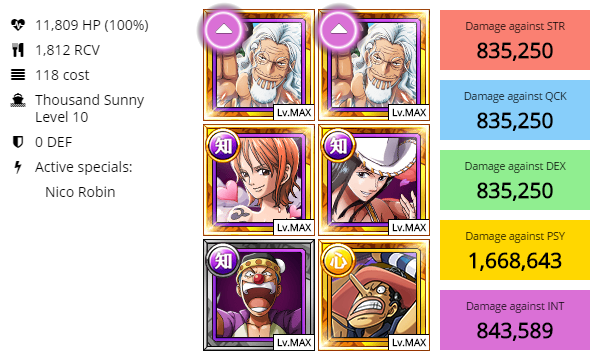 Mihawk's Special + Sengoku's Special should be able to guarantee clearing all the mobs thus allowing the strategy to work. 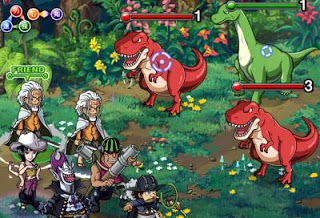 This should occur three-times in this Raid Boss - once on the Dinosaurs, once to clear the mobs with Heracles and once more during the final 20% of Heracles health. Using Hammer Usopp, Mihawk, Sengoku and Zoro - you should be able to burst down the last 20% of Heracles without too much trouble. 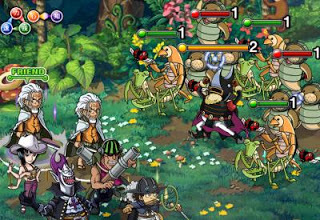 Because I'm such a Sengoku fanboy - I'll add a Sengoku team in as well. 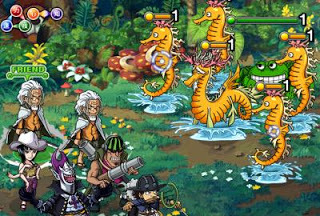 There are obviously replacements you can do such as Rainbow Dragon for Mr. 3. 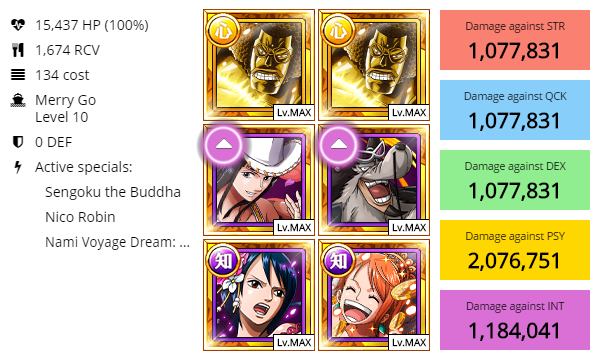 But this team is just going to burst their way through with Nico Robin and the nice 9x ATK boost. With that - we wish you luck with Heracles'n and hope you all get him! !